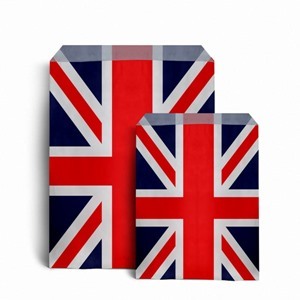 Celebrate the birth of the royal baby in style with our fantastic range of Union Jack Design Kraft Paper Bags. 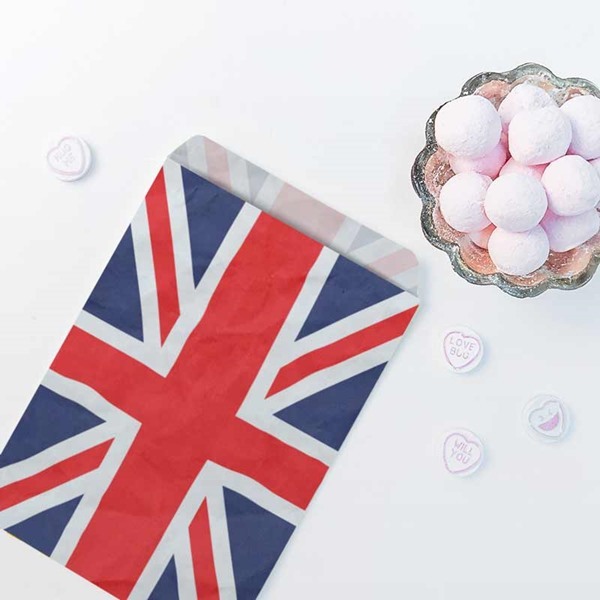 These bags are ideal for a wide range of uses! We are sure you will not find this type of exceptional quality or value for money elsewhere! 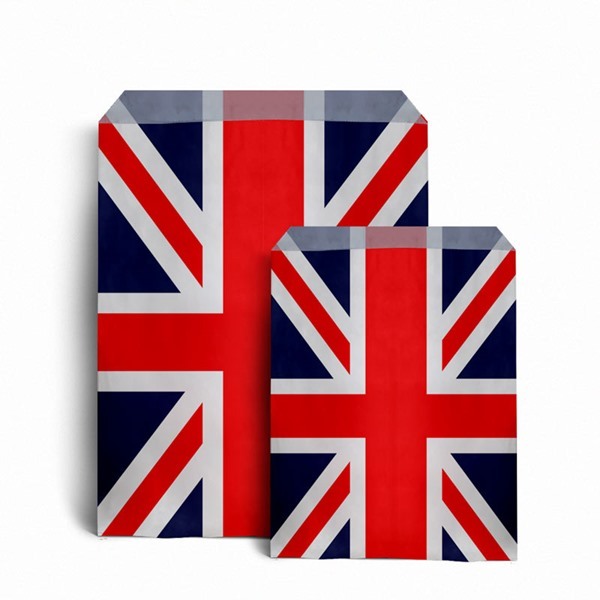 Printed all over in a bold and decorative Union Jack design and available in a two sizes. 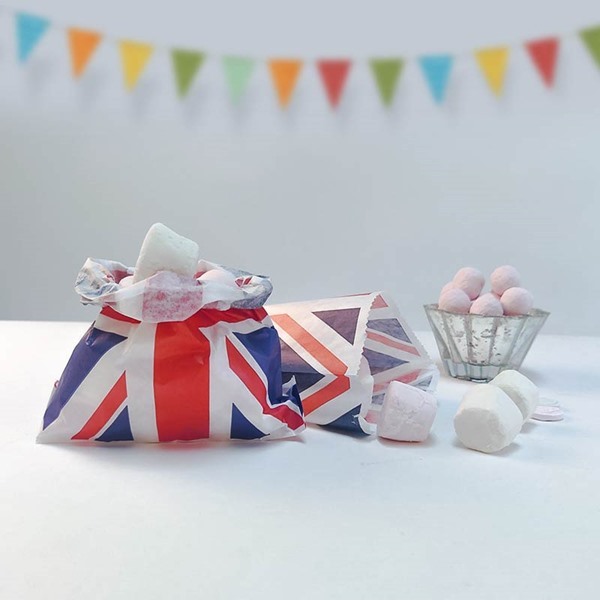 These bags are commonly used in retail stores such as newsagents, novelty shops and sweet stores.